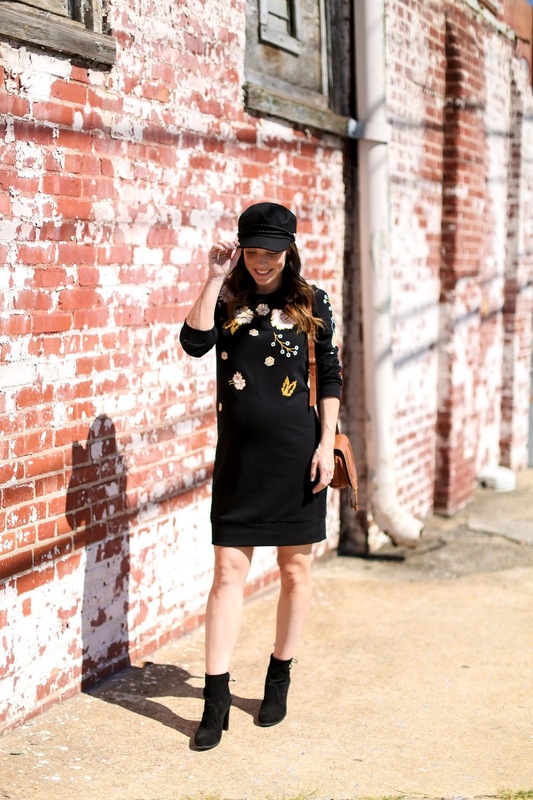 If you've been following my blog for a while you know I love wearing hats! And if you are new to my blog, just scroll back through the fashion tab and you will see that I wear one every season of the year. I started wearing hats years ago while living in NYC just to keep my head warm during the brutal winters, but then that transitioned to wool fedoras during the fall and straw panama hats during the spring and summer and now I have an entire collection of hats! I'm not always one to jump on trend bandwagons, but if it deals with a hat, then I will have to try it. Though I'm still not quite sure what to call this hat style because I have seen the style referred to as a "fisherman's cap", "fiddler cap", "baker boy cap", "cadet cap" but all I know is I really love it as another option to my standard wool fedoras during fall and winter. Because it's a bit trendier right now, I didn't invest in a super expensive style but there are so many great ones out now at relatively affordable price points. I still don't wear it as much as my regular fall hats, but I have been finding myself grabbing for it with dresses like I wore in the above pics and even love it with a sweater/jeans/boots combo. And if it allows me to get away with one more day of not washing my hair, then I am all for it! What's your feeling on this new hat trend? Would you wear it?